but it is not given to them. 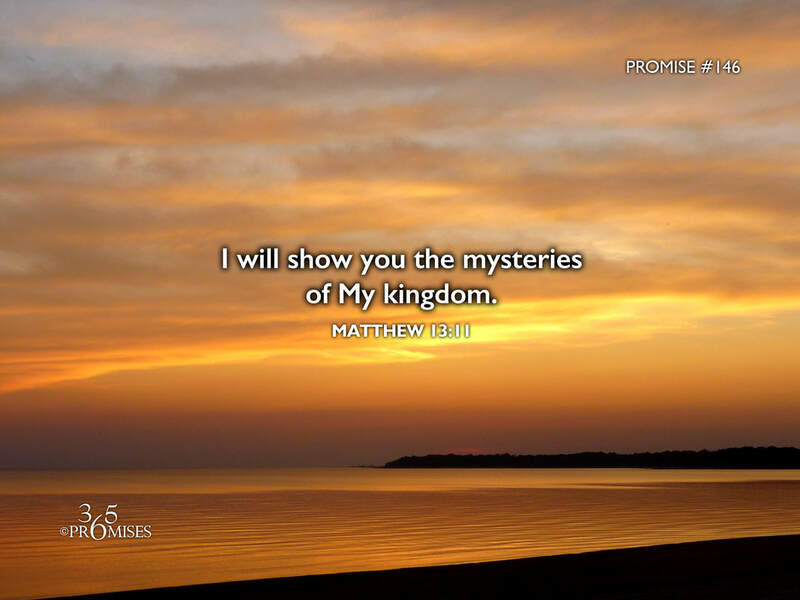 In today's passage of Scripture, Jesus tells His disciples that it was His Father's plan for them to know the mysteries of the kingdom. Jesus had just finished telling the crowds the parable of the sower and the seed and then He took the time to explain to His beloved friends the meaning of this story. Jesus did this because it wasn't His intention to keep His disciples in the dark. His desire (and His Father's desire) is always to deepen our level of revelation of the vastness of the kingdom in which we are called to live in. He doesn't want us to be left in the dark because we are called to be children of light! Our God and Father loves to show us what He is up to by the Spirit which He has given us. May each one of us see an increase of revelation into the mysteries of the wonderful kingdom of God in the coming days and with childlike awe and wonder be totally blown away by our Dad's goodness.